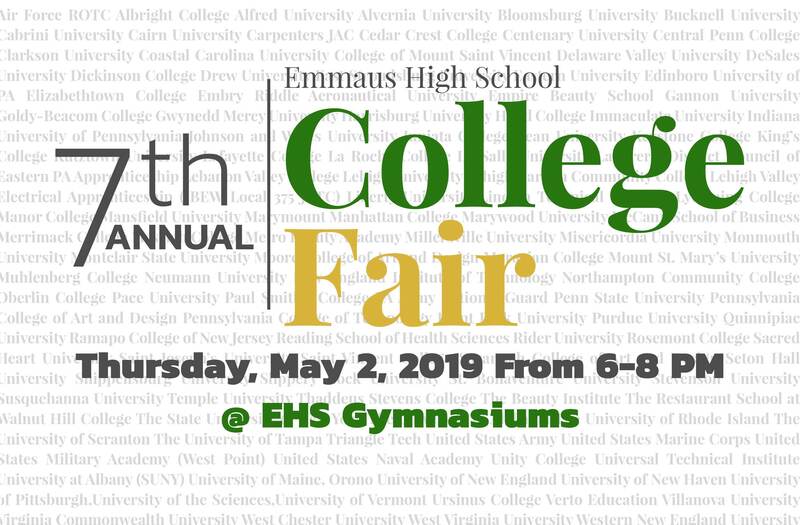 The EHS Counseling Department will be holding the 7th Annual College Fair on Thursday, May 2nd from 6-8pm in both Gymnasiums. They will have representatives from colleges, technical and trade schools, trade apprenticeships, the military, and more. The list of attendees can be viewed below and will be updated as they have more participants. We hope to see you there!